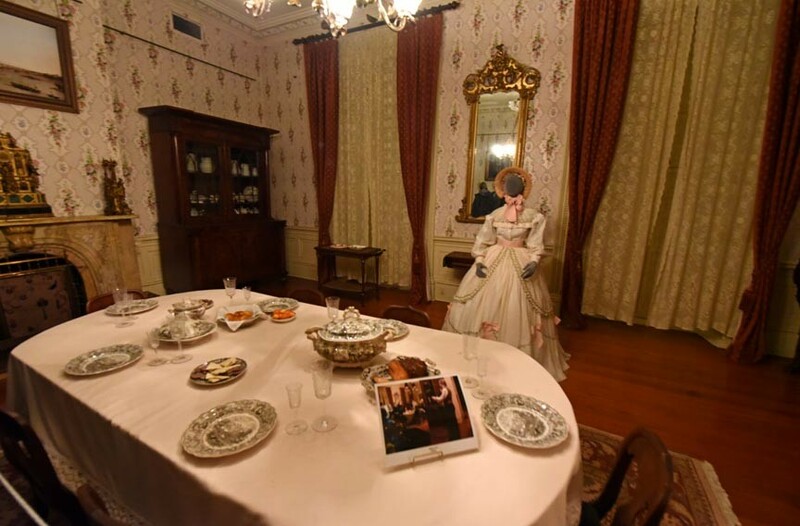 January Spirits: Why People Paid to Wait for Ghosts at Petersburg's Centre Hill Mansion | News and Features | Style Weekly - Richmond, VA local news, arts, and events. Scott Elmquist Despite the city’s money troubles, Centre Hill Mansion was among museums reopened by the Petersburg Preservation Task Force in December. Petersburg may be struggling to collect revenue from its living residents, but some ghoulish dwellers of Old Towne are doing their part. Centre Hill Mansion sold around 300 tickets at $10 each for its Ghost Watch tours last week — a Jan. 24 tradition — and a reminder of the town’s tourism-friendly charms. 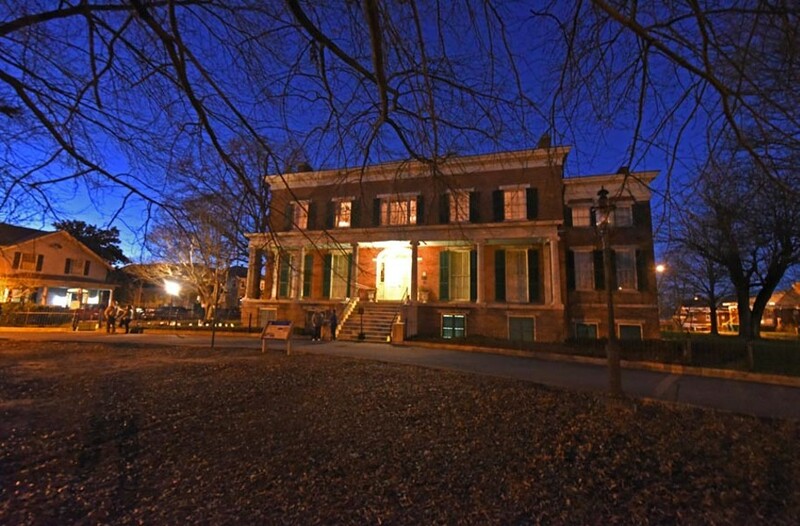 It’s the only day of the year that the mansion offers nighttime tours, because it was around 7:30 that night when 1870s resident Townshend Bolling heard boots stomping and sabers clanging up and down the steps of the house. There was no one in sight. He heard it the same day and time next year, and the year after. Bolling started inviting friends to the 1823 brick mansion on the 24th of every January so they might hear the eerie noises for themselves. “We are simply continuing Townshend’s tradition tonight,” tour guide Michael Cormier says. The house served as a headquarters for both Union and Confederate armies during the Civil War and was home to various families throughout the years. Other visitors and residents report such paranormal experiences as meeting a Lady in White and observing rearranged dishes, bedding ripped from a nap, a melodeon playing itself and unrecognizable faces in mirrors. Crew members from Historic Paranormal Research assembled to take the tours. They say the house has a strict policy against letting them in for tests of paranormal activity, so Tuesday was their chance to pick up whatever they could. While ticket sales may not put a big dent in the $7 million of delinquent property and real estate taxes discovered last year in Petersburg’s budgetary problems, no one can deny that the ghosts are doing their part. The nonprofit Petersburg Preservation Task Force stepped up to take over operations of city museums in November and reopened them Dec. 1. Proceeds from Jan. 24 will back to the maintenance and operations of the two homes.